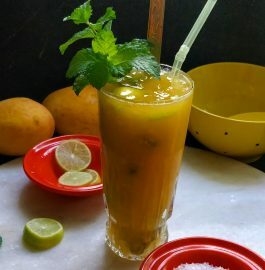 You will not be surprised after reading the name of the mocktail if you are familiar with the streets of Old Delhi. 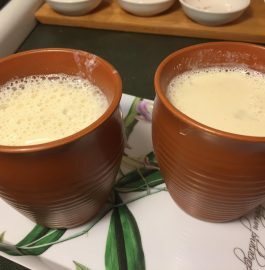 This drink is very famous street food in Old Delhi. 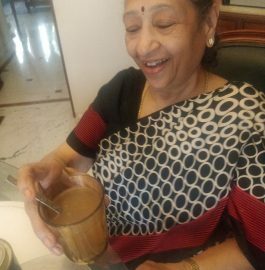 It is also known as Pyaar Mohabbat Mazza or Pyaar Ishq Mohabbat Sharbat. 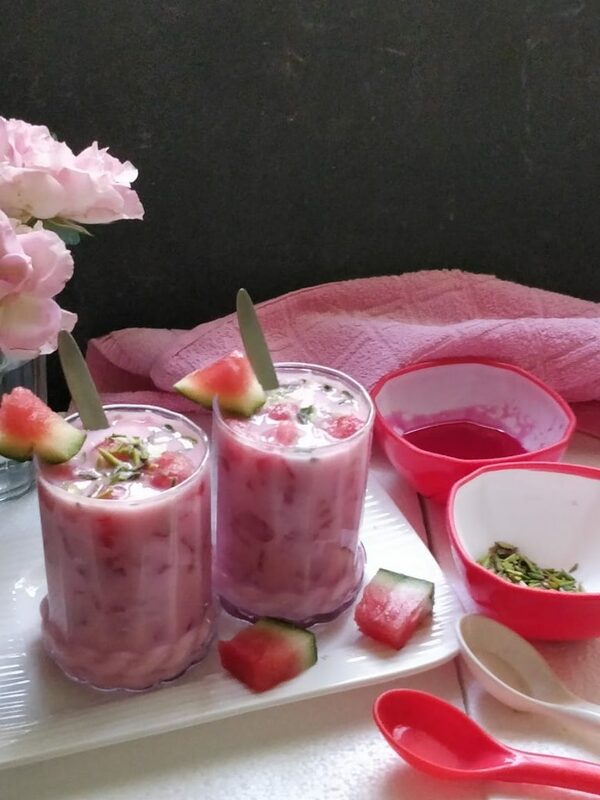 Mohabbat Ka Sharbat | Watermelon Mocktail is made with rose flavoured milk along with chunks of watermelon and juice. Watermelon added to the drink tastes great and gives a nice crunch. 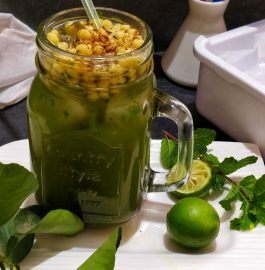 This is a most adorable and attractive drink with amazing flavour. 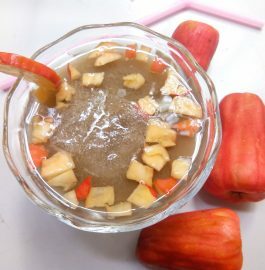 Moreover, it is cold, refreshing and just what you want to cool your body heat. 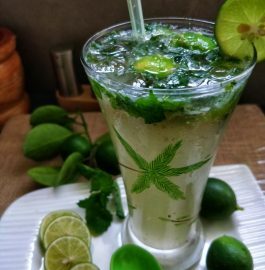 This is a delightful drink exclusively for summers. This is a very quick and easy preparation. 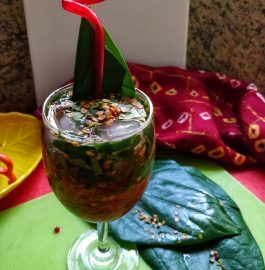 So, try to make this drink at home and serve it with lots of love 🙂 and do let us know how was it. Use the pink or light to dark pink rose petals if possible. 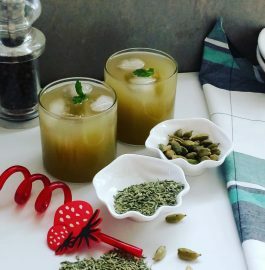 You can use dry fruits of your choice to garnish the drink. 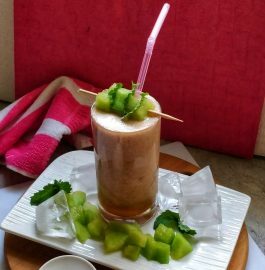 Take a bowl and add chopped watermelon, crushed watermelon along with its juice, ice cubes, skimmed milk, rose syrup, chopped rose petals. 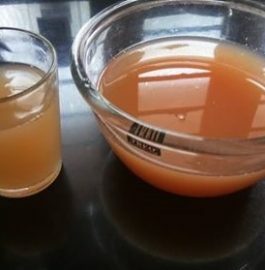 Give a nice stir. 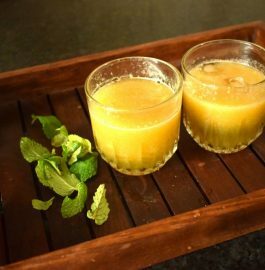 Take a serving glass and pour the sharbat. On the top of it add watermelon balls. Garnish it with watermelon wedge and chopped dry nuts. 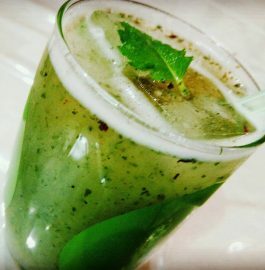 Delicious 'Mohabbat Ka Sharbat | Watermelon Mocktail' is ready to be served.